MARI Yoga retails Jade Yoga Mats upon request and we work together with an official JADE YOGA MAT distributor in Hong Kong. Retailing service is available for both Private & Corporate uses. As per 18. November 2018, the retail price of all products has been increased and prices in the PDF were applicable for the purchase before 17. November 2018. If you wish to order/purchase, please contact MARI Yoga and check the latest prices. 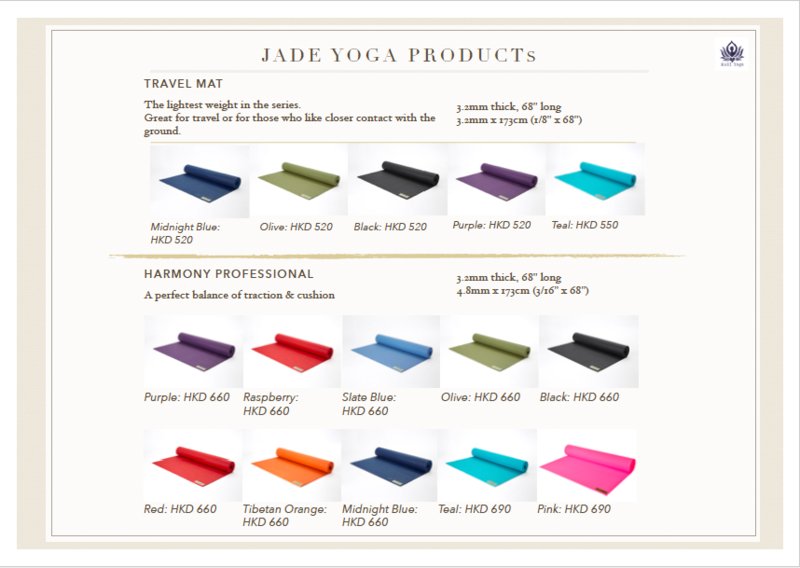 Now new Jade Yoga Mat series - ultra thin & light "Voyager" - in stock at our studio mini-shop. (1.6mm and foldable! A perfect yoga mat for light-luggage travellers! JADE BALSA BLOCK is discontinued and it has been replaced to JADE CORK BLOCK (S & L size). 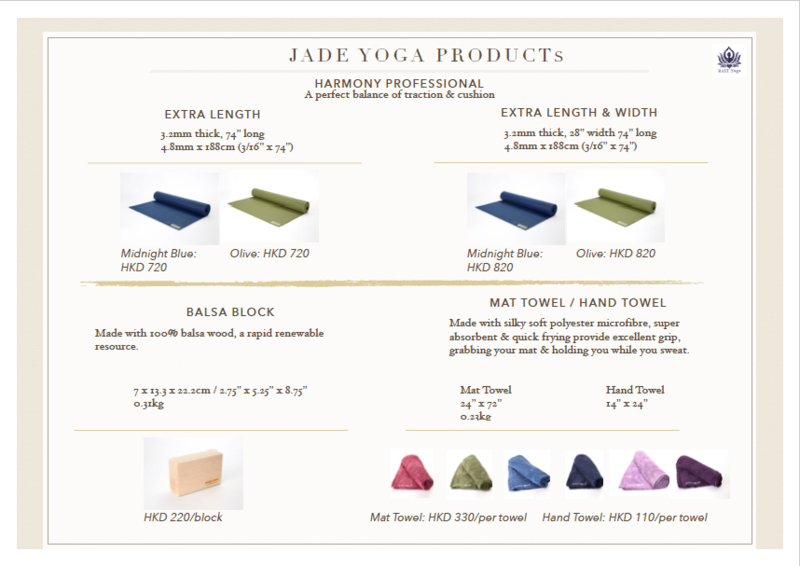 ☟☟☟☟☟☟​ All Jade Yoga Mat products price have been changed as per 18. November 2018.